The famous pursuit is so powerful that it has its own holiday, with March 20 set aside by the United Nations to recognize contentment as a universal goal for people everywhere. “After much consideration, I believe that the purpose of life is to find happiness,” the Dalai Lama wrote in “The Book of Joy,” his volume with Archbishop Desmond Tutu. An entire industry wants to teach you how to make those feelings last. There are classes and even the Journal of Happiness Studies to put an academic spin on the findings. But all this intense pressure to be happy has spawned a backlash, with books such as “America the Anxious: How Our Pursuit of Happiness Is Creating a Nation of Nervous Wrecks” now competing for your attention. Remember, you do really have some power to reach bliss: Genes determine 50 percent of your happiness, while circumstances account for 10 percent. That leaves 40 percent up to you, studies have shown. If you had to name one key to happiness, it would be relationships, said Gretchen Rubin, author of “The Happiness Project.” That means romantic relationships, friendships, close ties with siblings and colleagues —any meaningful and deep bonds with people you like. “If you’re thinking about how to be happier, thinking about how to deepen or broaden your relationships is probably a really good place to start,” Rubin said. You may think you’ll finally find bliss when you get married or get a promotion or win the lottery. But events you think will make you happy often don’t. Once you make $75,000 a year, money doesn't have much of an effect on your contentment, one study found. To add more joy to your life, know yourself. Take the Saturday morning test, recommended Neil Pasricha, director of The Institute for Global Happiness. What do you like to do on a Saturday morning when you don't have to do anything? Cook? Play guitar? Work out? The answer reveals what your natural passions are. 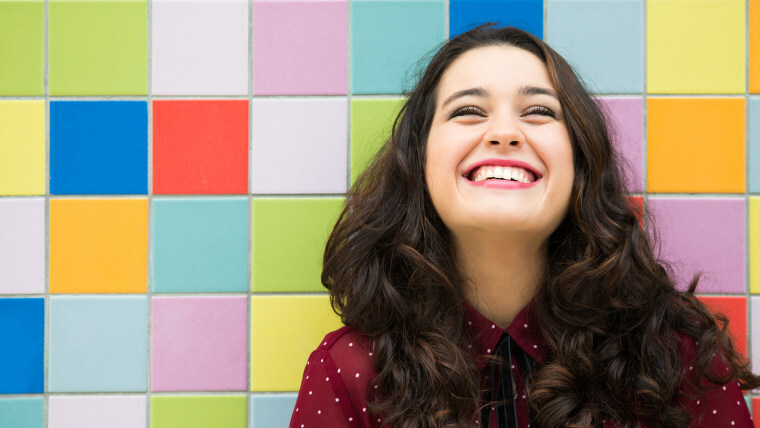 Boost your happiness by incorporating more of these activities into your life and work. People who engage in random acts of kindness boost their well-being. That includes small gestures and bigger ones, like donating money to charity, said Yale University professor Laurie Santos, who teaches "Psychology and the Good Life," the most popular class in the history of Yale College. One of Santos' favorite studies found people who spent money on others reported greater happiness, with such generosity bestowing a "warm glow" on the givers. Another favorite study discovered that a simple act of connecting with a stranger — talking to somebody on a train or a plane, for example — can boost your mood. We underestimate other people's interest in connecting, but such simple exchanges can be happy for everyone involved. Work is often the place where people are the unhappiest, so this is not about staying in a job you hate. But fulfilling, meaningful, challenging work is an important part of happiness because it provides structure and a sense of purpose, Pasricha said. Residents of Okinawa, Japan — one of the world’s “Blue Zones” where people live extraordinarily long lives — don’t have a word for retirement. Rather, they use “ikigai” — which translates as “the reason you get out of bed in the morning.” Work — including volunteering — often satisfies that for us, Pasricha said. Hawaii has once again topped the Gallup National Health and Well-Being Index of the healthiest and happiest states in the nation. Residents there enjoy warm relationships, like what they do each day, love their surroundings and are inspired to treat their bodies right. When it comes to the happiest cities, frequent winners include Naples, Florida; Boulder, Colorado; and Provo, Utah. What makes life truly worth living is meaning, said Emily Esfahani Smith, author of "The Power of Meaning: Crafting a Life That Matters." Meaning often comes from doing hard things — like raising children or starting a business — that can give you a deep sense of satisfaction over time. Look for ways to connect with people and find your purpose. Cherish moments that lift you above the hustle and bustle of daily life, like going to church, a museum or a garden. Going into nature changes how your brain works: It reduces stress levels and boosts well-being, said David Strayer, a professor of psychology at the University of Utah. It’s the philosophy behind forest therapy. When you’re enjoying nature, the parts of the brain associated with being mindful become more active. There’s also the exercise component, which has positive effects on mood. “If you can manage to get yourself to a park, place to walk, jog, just enjoy, be in nature and leave the phone behind for 30 minutes,” Strayer said.